Welcome to the definitive Android Central take on the history of Google's OS — from the early days of Danger, Android, Inc. and Andy Rubin, right through to the present day. In each of our eight installments over as many weeks, we'll track the technologies, handsets, people and events that shaped Android throughout its life, bringing you a unique insight into a platform used by over a billion people. We'll see how Android has grown from a scrappy startup to a position of dominance over the mobile landscape, while pushing into new product areas like wearables and automotive — and how fortunes have changed in the cut-throat mobile business over the past eight years. Android didn't just happen. The origins of the world's dominant mobile operating system can be traced right back to the beginning of the previous decade. In the first part of our Android History series, we look back on the earliest origins of the OS, the path to launching the original Android phone, the T-Mobile G1, and some of the influences that shaped Android's early days. And we'll take a rare look at one of the early Android prototypes that never saw the light of day. In our second installment, we'll look at Android's first year on the market, from the launch of the T-Mobile G1 in late 2008 through to the first breakout successes for Android the following year, with commentary from a leading mobile executive. We'll look at the impact of the G1 launch, the nuts and bolts of Android's open-source model and early UI designs, and the partnership with Verizon that gave us "Droid." In the third part of our Android History series, we track Android's progress as it makes it big in the mobile world, with devices like the HTC EVO, HTC Desire and Samsung Galaxy Galaxy S sweeping the OS to a dominant position. And we'll revisit the beginning of Google's Nexus program, which brought a "pure Google" phone to consumers, direct from their Mountain View headquarters, for the first time. We'll also examine the first major Android tablet, and the growing rivalry between Google and Apple in the mobile space. By the end of 2010 Android had become a force to be reckoned with on smartphones. The following year would see Google's OS properly branch out into tablets with the slate-centric (but ill-fated) Honeycomb release before reuniting the phone and tablet branches in Ice Cream Sandwich, the biggest change to Android in its history thus far. With "ICS" came an entirely new visual style, and a stronger focus on design. And thanks to a partnership with Samsung, Android 4.0 debuted on a phone with a major technical milestone to its name. In part four of the series, we explore a transformative year filled with new types of Android devices, and an all-new design language. With the arrival of Android 4.0, Google's OS was starting to look like a mature platform. The Ice Cream Sandwich release gave phone and tablet makers a really solid foundation to build atop, and that's exactly what we saw in 2012. In the fifth part of our series on the history of Android, we'll see how Samsung started to become a dominant force in the Android space, doing battle with Apple in the process. And we'll revisit how Google addressed some of Android's longstanding weaknesses through Android 4.1 Jelly Bean and Google Play Services. And a bonus interview with Cyanogen's Steve Kondik gives a unique perspective on the history of Android. 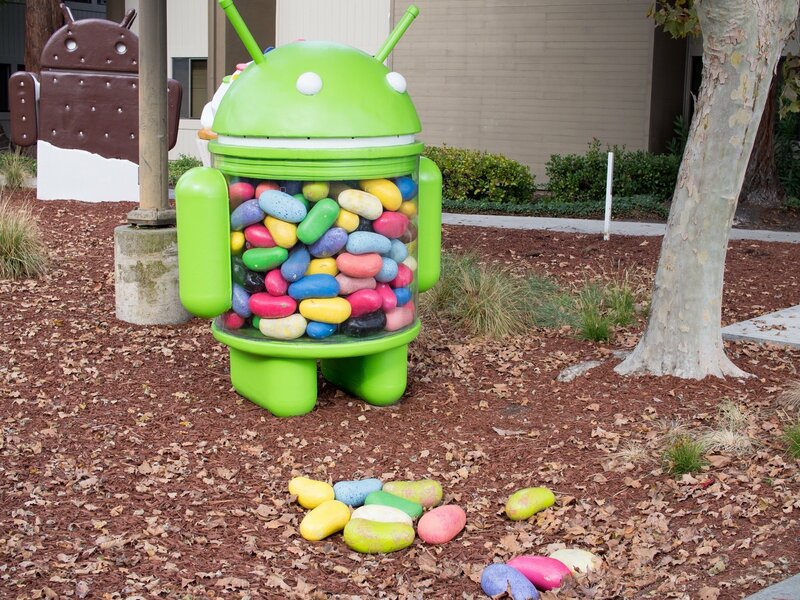 Of all the nicknamed versions of Android, Jelly Bean was with us the longest. It was an important time for Android's maturity as a platform, with Google making the OS smoother and more stable across a wide range of devices, while laying the groundwork for future developments like Android Wear. In the sixth part of the series, we'll see how fierce competition among phone makers in the Jelly Bean era brought us some of the most unique, beautiful and capable devices yet. We'll take a look at how Google tried (and failed) to bring stock Android to a wider audience with the ill-fated Google Play editions program. And we'll revisit the rise of wearables, including the first mass-market Android powered smartwatch, the Samsung Galaxy Gear. When you're dominating the smartphone world and successfully carving out a niche against Apple in the tablet space, where do you go next? In 2014, the answer for Android was everywhere. In the space of twelve months, Android exploded onto wearables, TVs (again, after the ill-fated Google TV push), cars and even Chromebooks. 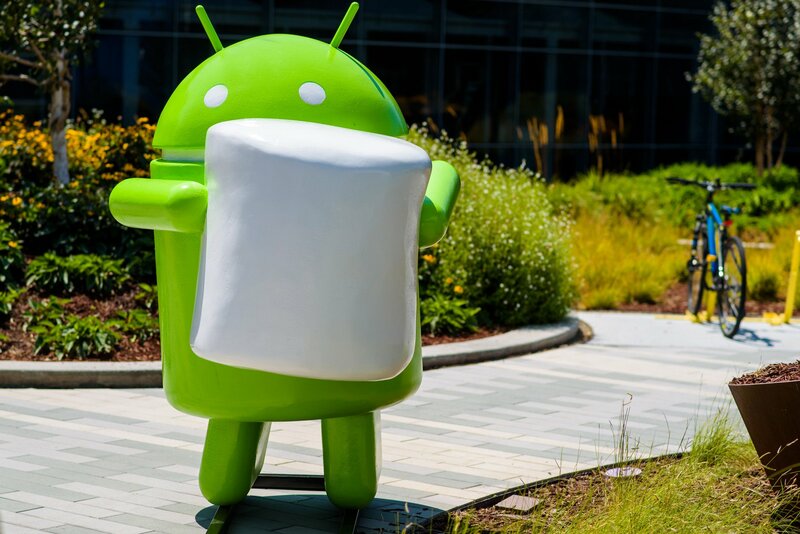 Android was quickly going from being Google's mobile OS to the company's everything OS. In the seventh part of our Android History series, we'll look at how Google pushed Android into new frontiers. We'll examine changing fortunes in the smartphone world, as Samsung stumbles and LG rises. And we'll see how Lollipop and a new batch of Nexus devices set the stage for the third age of Android. In the final (for now) installment of our Android History series, we examine Android's third age. As smartphone hardware starts to plateau, we see important new mid-range devices stealing the show and Android cameras at the high end proving the potential of mobile photography. And in a transformative year for Google, we look at the company's journey towards being a mobile operator with Project Fi, as well as its re-organization under the "Alphabet" conglomerate and new Google CEO Sundar Pichai.